La Gomera’s rugged coastline and exposed landscapes give it the feeling of being positioned at the end of the world, and for a while this is exactly where people thought it was. As one of the most western points of land under Spanish control, it was from here that Christopher Columbus departed on his journey to discover the new world at the behest of the Crown of Castile. Although at the time he maintained that he had visited the Asian continent, mentioned in Marco Polo’s stories, we now know that it was actually the Americas that the Italian explorer had reached. 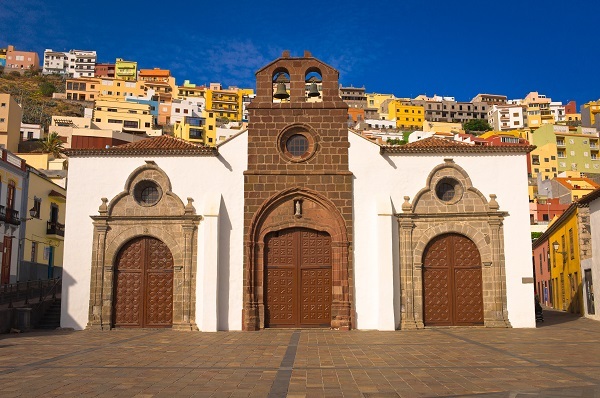 And it seems that the little island of La Gomera had a big part to play in this monumental passage of history. Not only was San Sebastián the last stop before his epic voyage, Columbus also decided to take many of the seafaring townsfolk with him. After putting the word around that he was looking for capable sailors, there was no shortage of brave seamen lining up to take on the challenge. Disputed accounts also tell of his last actions before he sailed off into the unknown. Some say that he spent the last night with Beatriz de Bobadilla, the wife of the governor, and that the relationship between the two even delayed the start of his journey. It is also thought that Columbus paid a visit to a church which once stood where the Church of La Asunción stands today. It was here that he prayed for calm seas and that his exploration would be successful, so you could say this building played an important role in his discovery. If you look closely enough, you will discover many connections to Columbus within San Sebastián, although the modest town does not raise its voice too loudly on the subject. The building in which he stayed during his time on the island is now an exhibition centre, whilst the Casa de la Aguada features a spring from which it is said water was taken to ‘baptise’ the new land. If true then this is an enormous claim to fame and deserves more than the small plaque which currently commemorates it. 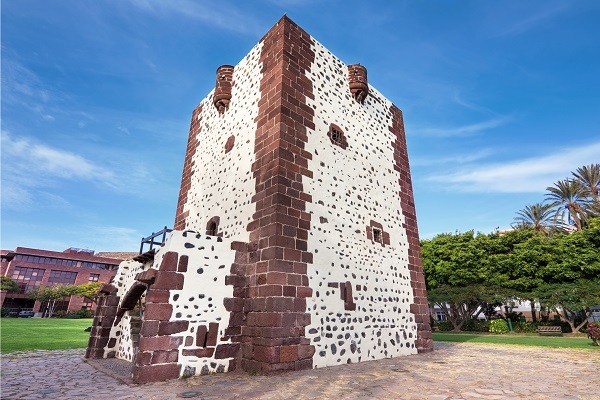 Elsewhere in the town, there is Gomeran cuisine to savour, Gomeran architecture to admire and the interesting Torre del Conde to scratch your head over. This intriguing structure looks like part of old fortifications, but it seems like it was built to hide the noble elite during invasions rather than help them fight back. Nowadays, the town is used as a departure point for people attempting to propel themselves across the Atlantic in various challenges and record attempts. And, as they endeavour to follow in the footsteps of Christopher Columbus, you can do so too by exploring this quaint and traditional Gomeran town. Why not use the fantastic Hotel Jardín Tecina as your base during your stay in the Canary Islands? Call us today for more information about our relaxing resort.